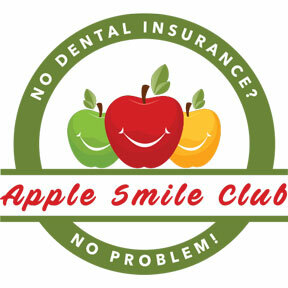 The Apple Smile Club is designed to provide affordability and greater access to quality dental care. Exclusively offered at Family Dental Health, Apple Seeds Pediatric Dentistry, and Carolina Family Orthodontics! Patient’s portion of bill is due day of service. If your plan lapses, you will be required to pay the one time membership fee to rejoin. No refunds will be issued at any time if participant decides not to utilize dental plan. Giving you greater access to quality dental care—just another way we make your family smile!